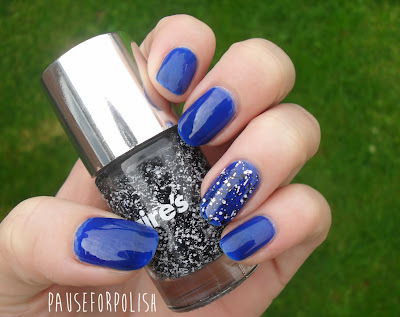 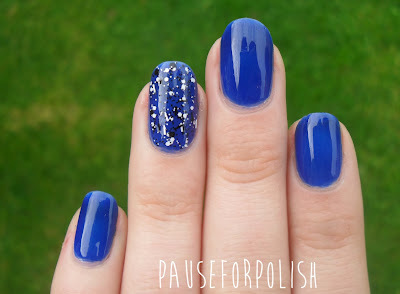 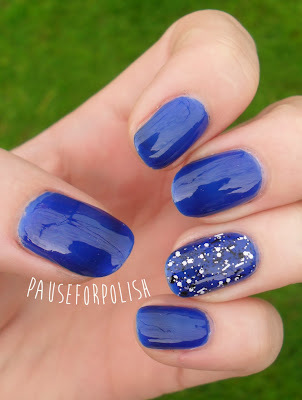 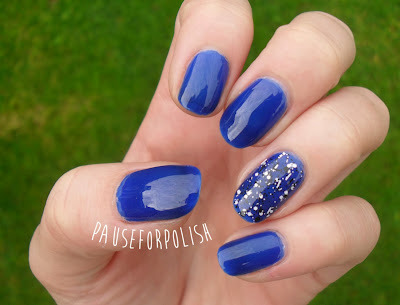 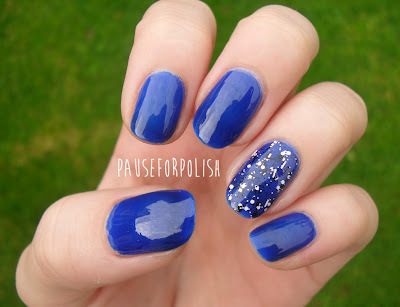 Just a quick mani to show you today, using my favourite colour.. blue! 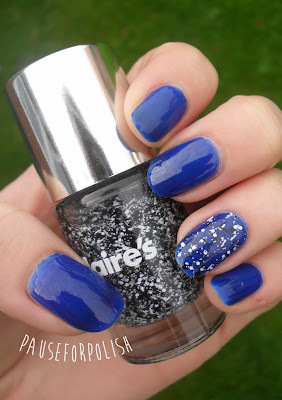 This is a beautiful deep blue from Claire's Accessories. I used two coats for this mani, but it still looks quite sheer in natural light so could have done with one more coat. 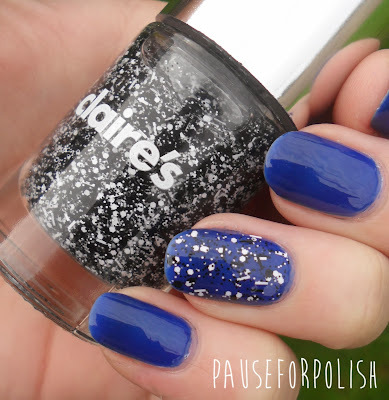 I finished off the ring finger with a black and white graffiti glitter polish from Claire's new range.